World Riddles: Animals is rated 3.7 out of 5 by 20. Rated 5 out of 5 by Katiendan from I'm Addicted To This Game! I love playing the different World Riddles games! In these games you are given a grid and a series of numbers by which to determine which blocks should be "broken" in order to find the hidden picture. For the "Animals" version, I agree with the other reviewer that the first level was extremely easy, and I was also concerned that maybe this game wouldn't be a challenge - but WOW was I wrong! As you progress the puzzles get harder and harder. Overall I would definitely recommend this game - but beware, it is really addicting! Rated 5 out of 5 by mickeyg718 from Great brain game! I really like World Riddles & the World Mosaics. Catching the fish took a little getting used to. A lot of fun and re-play value. 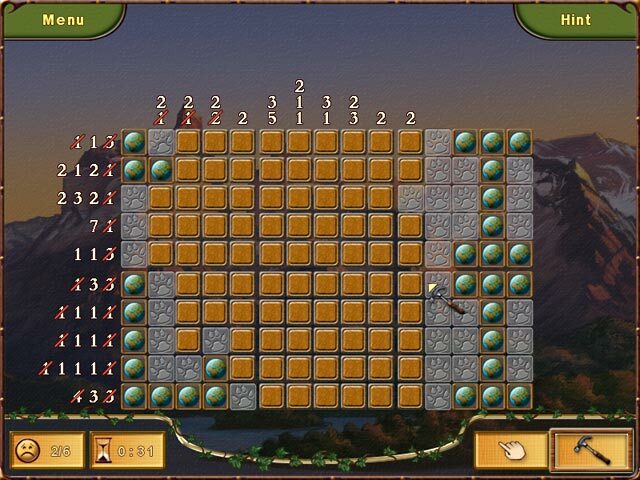 Rated 4 out of 5 by tesamoine from Good Fun Very similar to the World Mosaics games, but with puzzles between some of the levels. 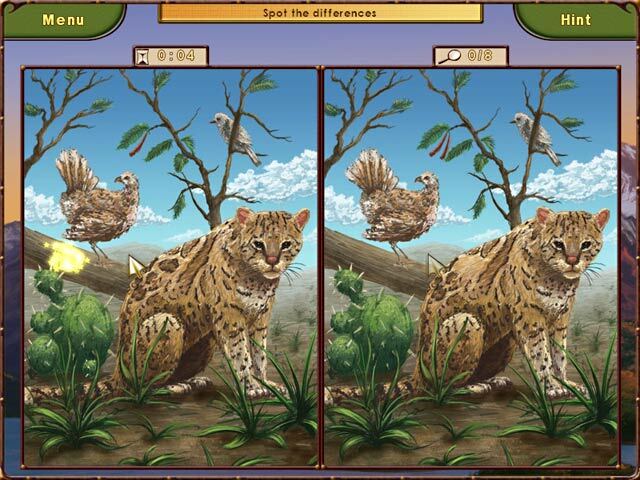 Such as, put together a puzzle, spot the differences, etc. I enjoy World Mosaics more because I do not like spot the differences games. However, excellent game and do recommend. Rated 4 out of 5 by Tikatoy from Fairly basic nonogram game This is a game featuring nonogram puzzles. These are logic-based puzzles where you use the same type of thinking as you would for Sudoku or Minesweeper. If you like those, you'll probably like this game. 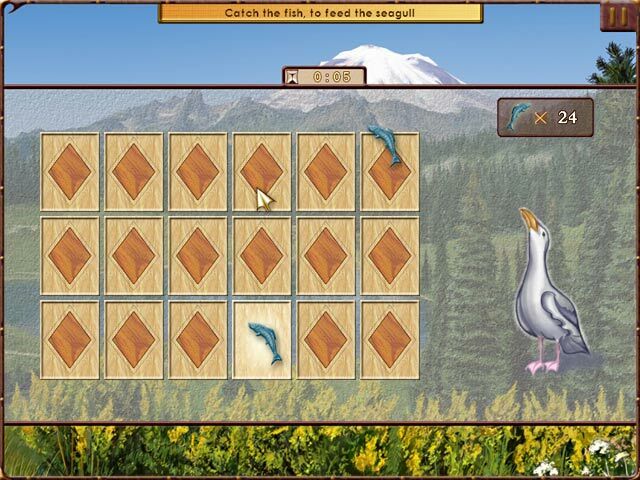 This seems to be an older game; the graphics are bland and it's lacking features of the newer nonogram games that show you how many tiles you've selected. It also doesn't consider the row/column complete until you clear out empty tiles; all of the newer games consider it complete as soon as you click on all of the "occupied" tiles. The difficulty level of the puzzles generally increases as you progress through the game, but every now and then a few easy ones are thrown in. These, along with the spot the differences, jigsaw puzzle and animal trivia puzzles do a good job of providing a refreshing break from the nonograms. The puzzles themselves were very enjoyable with a few especially tricky ones. I liked the difficulty level. Only complaint is that a couple of them came down to 50-50 guessing and couldn't be solved with pure logic. For an added challenge beyond just solving the puzzles, you get medals depending on how many hints you use, mistakes you makes, and also the amount of time taken to finish the puzzle. Finish in expert time with no hints and no mistakes and you'll get a star for that level; get all stars for a continent and you get a gold piece. There is also a bonus round where you try to complete 4 puzzles as quickly as possible and beat the high score. I'd suggest getting the newer games in the World Mosaics or World Riddles series first, then if you can't get enough, pick this one up. Rated 4 out of 5 by sueandjack from The Wonderful World of Riddles This is another good game that makes you think. It starts out pretty easy but the further you go the harder it gets. Some of the puzzles are down right hard and to get the number puzzles done in time after the first 2 levels is next to impossible. This is a good game for all still levels. Rated 4 out of 5 by Rebr2009 from GREAT I really like logical reasoning and number`s games, .. a game to think and have fun at the same time. As the others World Riddles, could be a little bit more challenging. Provides very good entertainment. 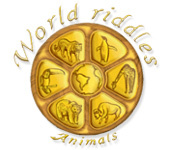 Collect the prestigious Animal World Expert Medallion by traveling around the world and solving puzzles in World Riddles: Animals!